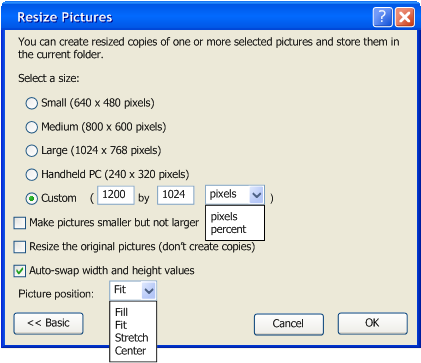 I’ve recently created a work item on my Image Resizer Powertoy Clone for Windows project titled New Advanced Options. I would greatly appreciate any feedback you may have on this. Please see the Work Item for more details.